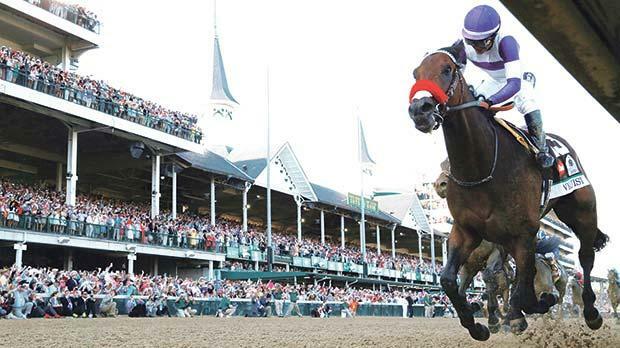 Nyquist charges to victory at the Kentucky Derby in Louisville. Favourite Nyquist ran a perfect race to extend his unbeaten record winning the 142nd Kentucky Derby at Churchill Downs in Louisville on Saturday, sparking talk of a second consecutive Triple Crown champion. Nyquist pulled away from Gun Runner down the stretch and then held off a closing charge by Exaggerator to win the first leg of US thoroughbred racing’s Triple Crown series for three-year-olds.